[MEDIA] - "DOWNRANGE" New Photos Revealed ! 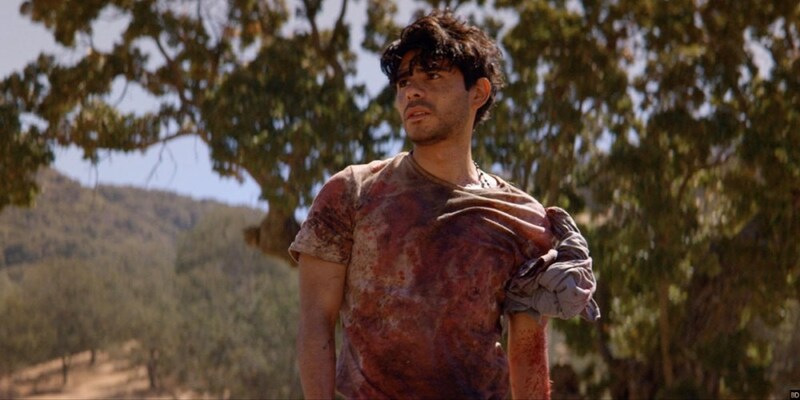 "DOWNRANGE" New Photos Revealed ! Ryûhei Kitamura ("VERSUS", "MIDNIGHT MEAT TRAIN", "ALIVE", "GODZILLA: FINAL WARS", "NO ONE LIVES", "AZUMI", "ARAGAMI") is heading to TIFF's Midnight Madness with "DOWNRANGE", a “terrifying” new thriller starring Stephanie Pearson ("INSIDIOUS: CHAPTER 2"), Kelly Connaire, Rod Hernandez-Farella, Anthony Kirlew, Alexa Yeames, and Jason Tobias. Produced by Kitamura and Eleven Arts' Ko Mori, the film is executive produced by Taro Maki. Screenplay is by Joey O'Bryan ("MOTORWAY", "FULLTIME KILLER"), with a story by O'Bryan and Kitamura. Synopsis : Six college students are carpooling cross-country when one of their tires blows out on a desolate stretch of country road. Getting out to fix the flat, they quickly discover that this was no accident. The tire was shot out. With their vehicle incapacitated, the group is pinned down and mercilessly attacked by an unseen assailant as they desperately attempt to find a way to escape.